As history repeats itself, since hindsight is 20/20, and because, unfortunately, there is no crystal ball to tell us the events of the future, it is important to look toward historical financial information to assist in preparing for a resort’s financial future. Since the Great Recession, the concept of “business as usual” has evaporated and each year brings new challenges and sets of facts that will shape the future. 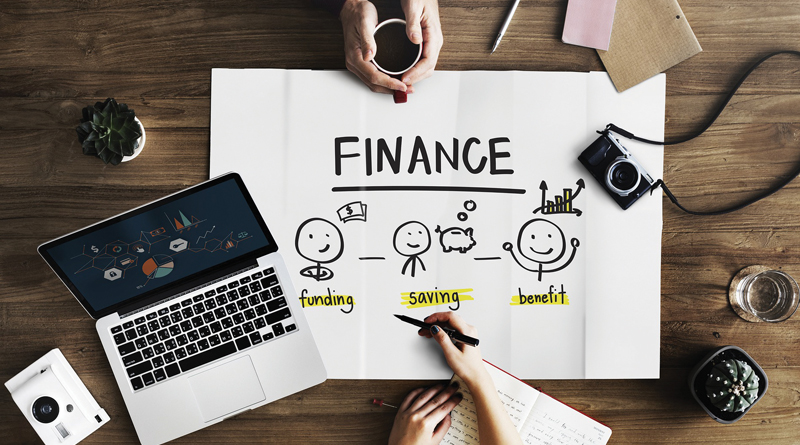 Planning for a resorts financial future – budgeting, forecasting, and financial planning – must take all of these in to account: the results of the past and the current changes that will reshape the future. As part of an effort to provide historical financial trends to assist resorts, WithumSmith+Brown, PC (Withum), annually conducts a timeshare benchmarking study. This study summarizes and trends the financial information of 100 Florida timeshare resorts for the prior year by logging, summarizing and concluding about certain financial factors taken from the budgets and audits for the resorts in the sample. The study is unique as it uses externally verified data from audits rather than self-reported data. The current year’s trends that will be discussed are related to the 2016 year. One of the largest and hardest to predict expenses at every resort is bad debt. The study reported that on average, resorts recorded an allowance for uncollectible assessments receivable of 82.2% of the end of year balance of assessments receivable. This is an increase from the prior year which reported 79.8% on average, which correlates to the trends in bad debt expense. Both actual and budgeted bad debt increased year over year. Actual bad debt expense as a percentage of operating assessments increased from 11% in 2015 to 12% in 2016. Further, the gap between budgeted bad debt expense and actual saw a dramatic increase. For 2016, budgeted bad debt represented only 85.7% of actual bad debt, which is down from the prior year of 89.4%. This means that in 2016, the budget for bad debts was almost 15% less than actual, which is substantial. The board and management are unwilling to increase assessments for a variety of reasons. Another measure of a resort’s budgeting is whether they have to spend “next year’s money” in the current year. A staggering 47% of resorts have spent on average 38.4% of their prepaid assessments as of December 31, 2016. The prepaid assessments represent the amount of the next year’s assessments that are collected prior to year-end. These funds are for the next budget year, but as is shown in the study, many resorts are having to spend these funds to pay the current year’s bills. Again, the current year’s budget is not realistic to pay the current year’s actual expenses in these cases. There was no notable change in this metric when compared to the prior year. Another measure of liquidity is in regard to performance. Most resorts budget on the zero-based budget concept. The study reported that in 2016, 30% of the resorts sampled reported a net loss in the operating fund in the current year and 24% have an operating fund deficit at year end, which represents that accumulated annual results over the lifetime of the resort have resulted in negative equity. These metrics are improved from the prior year, which reported 35% of resorts having net operating losses and 27.6% of resort having operating fund deficits. Lastly, the study addressed the number of resorts who have borrowings from the replacement reserve fund. For 2016, 33% of resorts reported having a balance due to the replacement reserve fund on their balance sheet, which was down from 40% in the prior year. This is despite the fact that borrowing from reserves to fund operations is a violation of Florida Statutes. This means that in 33% of resorts, the operating assessments collected were not enough to pay the current operating expenses and the difference had to be “borrowed” from the savings accumulated for replacement reserves. All of these indicators are driven by inadequate budgeting issues previously discussed. When resorts have operating deficits, there is a greater need to finance current year operations with prepaid assessments, borrow from accumulated replacements reserve funds or potentially levy a special assessment to owners. In the study for 2016, it was noted that, on average, 11% of resorts have developer guarantees or subsidies in place, which is consistent with the prior year. Also, developers owned, on average, 16% of the intervals in a resort, which is up from 10% in the prior year. Associations and developers acquire inventory through various means, typically from owners defaulting on payments. Approximately 23% of resorts in the 2016 sample owned at least one interval. Of those owning at least one, on average the association owned 5% of its own inventory. This is an increase over the prior year which reported 4%. One significant point to note in these metrics in that there was no association-owned inventory noted for brand resorts. This highlights a vulnerability faced by mature and non-branded resorts – the necessity of a viable resale program. Not surprisingly, throughout the life of the study (14 years), assessments have increased consistently year over year. Average total assessments for a weekly interval (or equivalent), inclusive of replacement reserve assessments but excluding real estate taxes, were $846 for 2016. This represents an $11 increase over the prior year’s average. Conversely, average expenses (excluding real estate taxes) were reported at $949. This is a staggering difference and can be attributed to many of the metrics discussed previously. Many resorts include payroll in the functional expense category rather than as a separate line item, but these expenses are by far the largest expense in any resort, representing on average approximately 25% to 40% of total expenses. The accumulation of funds for replacement reserves and capital improvements is critical in legacy resorts. The study has shown that over the last 5 years, these expenditures have increased approximately 44%, while the related assessments have increased only 28%. This historical analysis is intended to assist resorts in identifying potential problem areas and indicate areas of concern to assist boards and managers in improving resort financial health. It begins with realistic budgeting and keeping an eye on the past while planning for the future. The summary information presented in this report represents for the aggregate of the resorts, not as stratified by age, size, location or other factor. For more information and stratified trends, please visit www.withum.com to see a copy of the current report in detail. Further, more information can be requested on the website.